• Increased weight at the rear sole to offer a lower and more rear located CG for a higher launch angle and trajectory for soft landing on the greens. 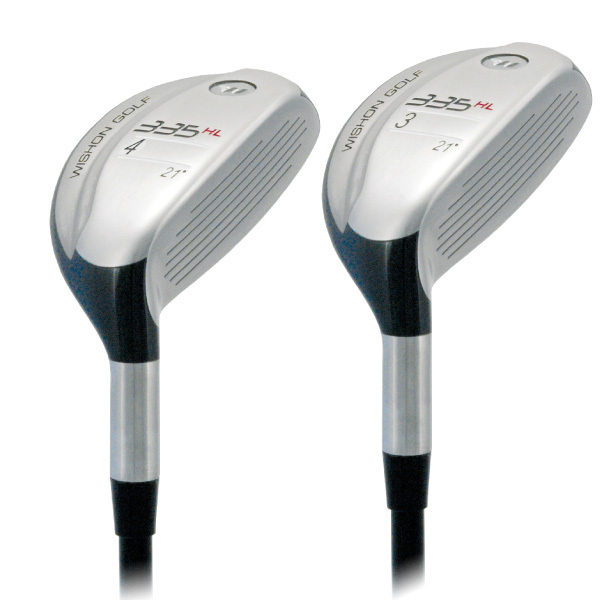 • Similar offset appearance as a conventional Iron to blend in smoothly with the address position look of normal irons. • More rounded leading edge with split level sole to allow golfers more versatility from the rough or when hitting more down on the shot to known the ball down. • Twin weight bores to allow assembly to a wide variety of swingweights (MOI) with different shaft weights and lengths. • 0.335” bore diameter to match with any of TWGT’s S2S Black, Red or White Hybrid shaft designs. Thin, High COR, High Strength HS350 Steel Alloy Face offers higher ball speed for more distance in a hybrid head design. Few companies can offer a high COR design in a hybrid. Unique 304 Stainless Steel Hosel allows for much greater ease in bending lie and face angle to broaden custom fitting options (±4°). Split Level, Narrowed Sole Width to reduce sole to turf contact for more solid shotmaking from fairway or rough conditions. 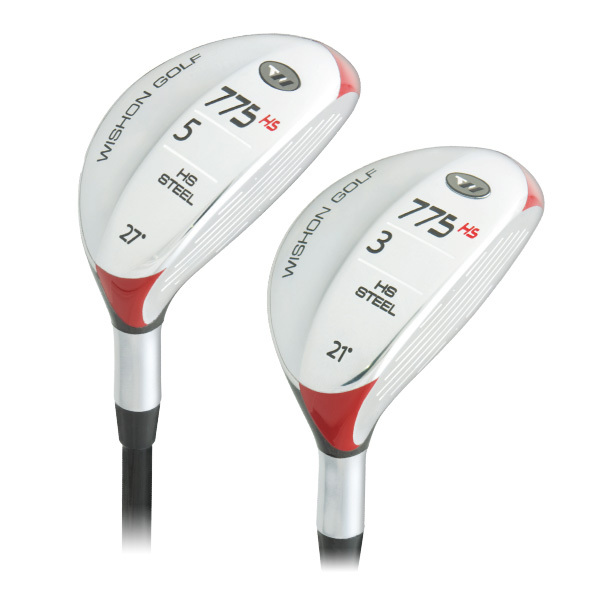 775HS Face Progression is in between that of an Iron and Fairway Wood to enable golfers to play the 775HS with the same ball position and swing motion as an iron of the same loft. Available in RH in #2, 3, 4, 5, 6, LH in #3. Copyright © 2017 The Golfmeister. All rights reserved.